Sevilla will be aiming to get their revenge on Spartak Moscow for a shocking 5-1 loss at Otkrytiye Arena when the two teams face each other at Estadio Ramon Sanchez Pizjuan. Los Sevillanos aim to regain their spot in top two in Group E, but Eduardo Berizzo’s troops will have to be at their sharpest in Wednesday’s football match if they are to give fans some cheer. Luis Muriel, who joined the club in the summer transfer window, is likely to lead the line for the hosts against Spartak Moscow. The Russian champions proved their worth in the 5-1 win over Sevilla in the reverse fixture, but seeing that they often struggle on the travels, we do not believe that there is a big value in betting on the visitors. Sevilla coach Eduardo Berizzo is under big pressure ahead of Wednesday’s match and we predict that his men are going to help the former Celta Vigo coach keep his job. 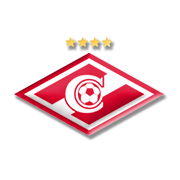 Spartak Moscow are the most successful club in Russia. The Narodnaya komanda did well to win the Soviet championship on 12 occasions and they won their tenth Russian Premier League title in the 2016/2017 season. Speaking of the club’s European success, Spartak Moscow made it to the European Cup (Champions League) semis in the 1990/1991 season, but Ligue 1 side Olympique Marseille proved to be a big catch for the Russian champions. Spartak were beaten by OM 3-1 in Moscow, while suffering a 2-1 loss to the French side in the return leg at Stade Velodrome. The club was founded in 1922 and they are considered as “the people’s team”. Spartak Moscow welcome their rivals at Otkrytie Arena, the stadium which was opened in September 2014. The venue will be called Spartak Stadium during the 2018 FIFA World Cup. The club’s main rivals are Dynamo Moscow and there have always been fireworks in clashes between the two capital clubs.